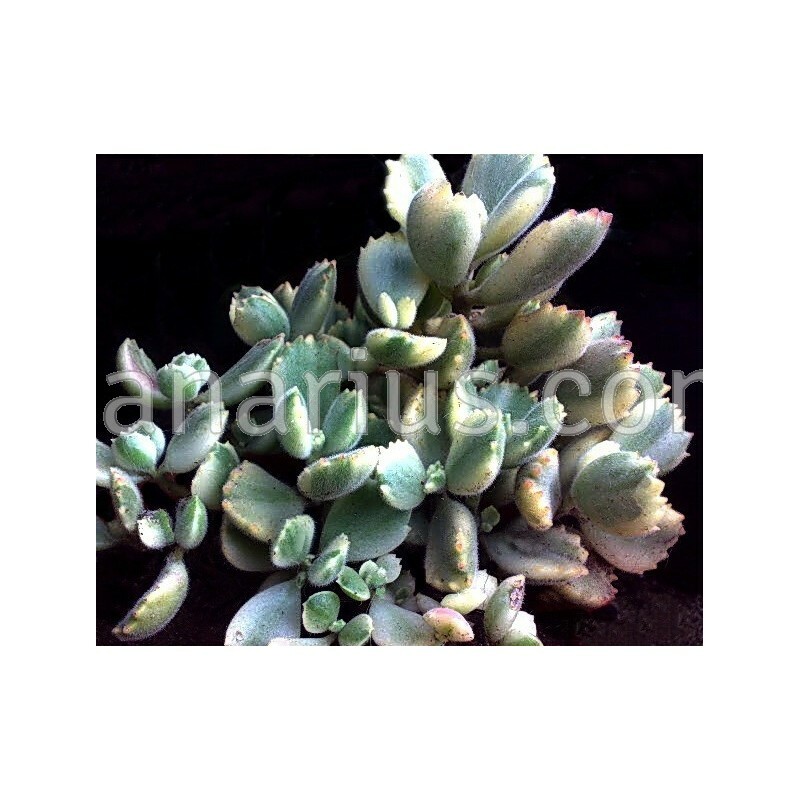 Showy variety, variegated in white and yellow of the "Bear’s Paw". 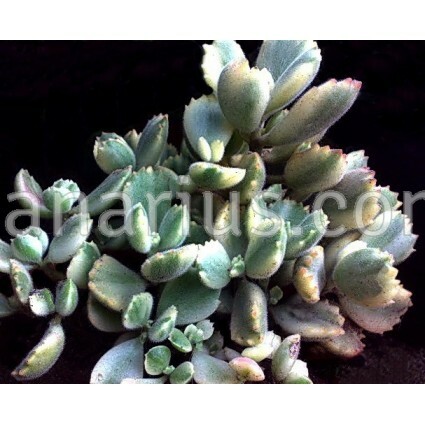 It has plump green leaves covered in fine hairs. Deeply notched leaf tips. Clusters of yellowish orange bell-shaped flowers. Frost sensitive.